Selena Hazel Miles departed this life on Thursday, February 22, 2018. She was born in Hamilton, Ohio and was one of six children born from the union of Hazel Rose Miles and Arthur Lee Miles. She was preceded in death by her mother, father, 2 sisters, 1 brother, and two children. She grew up in Hamilton, Ohio where she graduated from Hamilton High School. In the early 1960's she moved to San Diego, California where she attended college and graduated from San Diego State University. She majored in Social Services and went on to become a Social Worker for the city of San Diego. She retired from there in 1994 and moved back to the Ohio area. She then went back to work as a Social Worker for Montgomery County Job and Family Services. She touched a great many lives as a Social Worker. Til' this day if she sees former clients in the community they stop her, to talk to her, and thank her for all she had done for them. 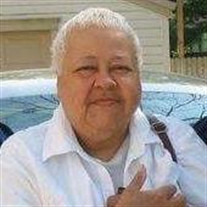 After she retired from Montgomery County in 2010 she began to travel, spent countless hours with family and friends. Her favorite pass time was shopping and she loved all types of animals, especially dogs. She had a little Chihuahua "Honey" who loved and adored her. Selena was survived by: her brothers Arthur Lee Miles, Jr., Lamont Miles; children: Adrian Miles, Yolanda Holmes, Brenda Benson, Melvin Benson, Christopher Benson, and Marc Lee; and her granddaughter Kelly Lee.